BETHESDA, Md. 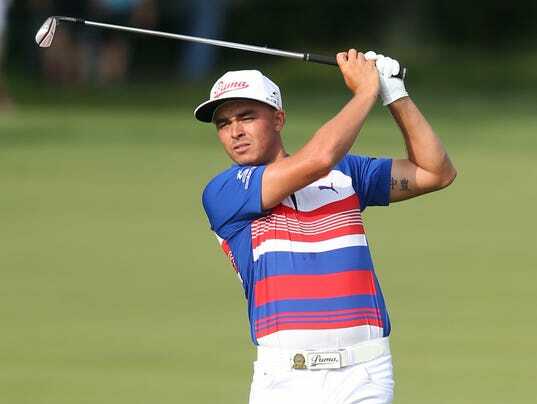 — Rickie Fowler was launching one golf ball after another down the range Sunday morning at Oakmont Country Club under the watchful eye of coach Butch Harmon. It wasn’t an unusual sight on the last day of the U.S. Open. Except Fowler wasn’t getting ready to play the final round. Having missed the cut, the world No. 6 stayed in the Oakmont area and went back to work despite having the weekend off. Fowler, who won four titles worldwide in eight months stretching from 2015 into 2016, shot 76-75 to miss his third consecutive cut and fifth of the year. That includes not making it to the final 36 holes for the first two majors and The Players Championship, where he was the defending champion. Last year he missed four cuts. “I’m definitely not concerned,” Fowler said Tuesday at Congressional Country Club, host to the Quicken Loans National beginning Thursday. Keeping Score: Is LeBron James, at 33, Better Than He Was 5 Years Ago?